This is a Nightly News with Safa inspired craft. If you have not read the review yet, you can check it out here. The kids enjoyed reading the book so much that they decided to make their own cardboard box tv. It featured a French channel where they spoke the little French they have been learning. It was very entertaining, and gave me a few good (and much needed) laughs! 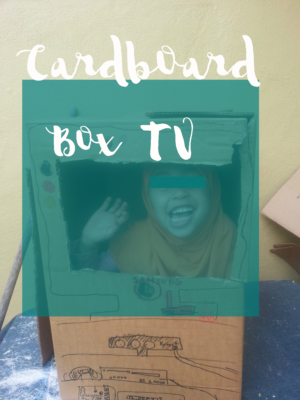 This is an especially great activity to do with kids who you may be trying to steer away from watching t.v. Ironically, it gets them off the tube, by getting them in the tube (lol). Note: If your kids are not able to cut the cardboard box by themselves, you can cut it out for them, and have them decorate it. The best part of the activity, is they will get to use their imagination when they “perform” on their t.v. 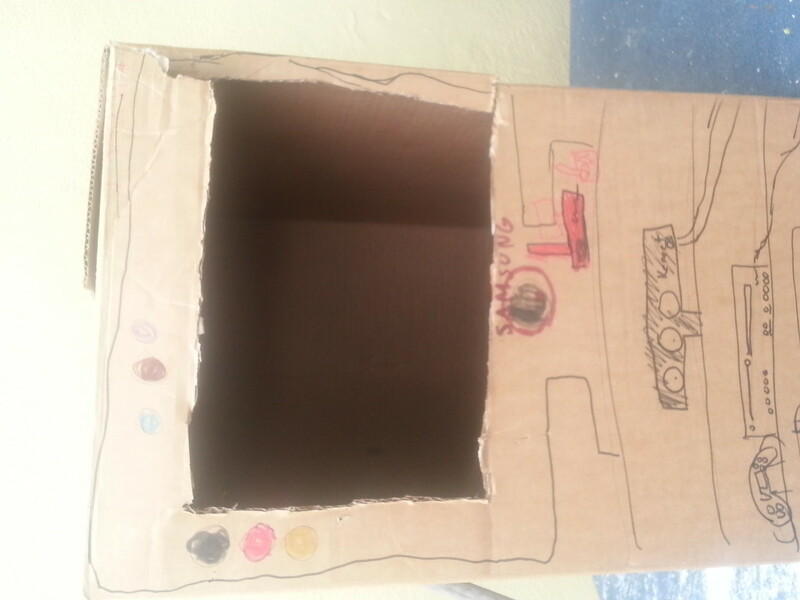 Please share any cardboard box projects your kids have made. I would love to suggest them to mine inshaa allah. Alhamdullilah, I am glad you liked it!